Maffeo Barberini was born at Florence, in 1568, the son of wealthy merchants. 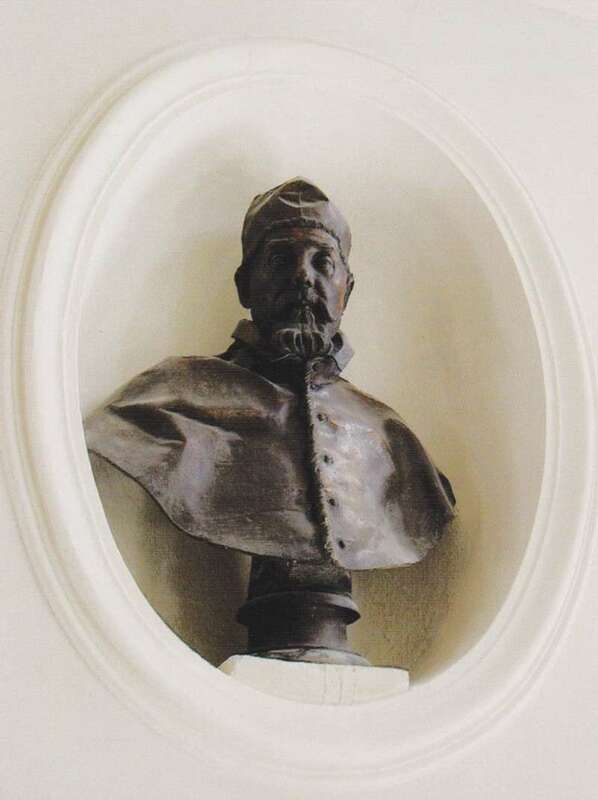 He studied under the Jesuits there, was a student in Rome and graduated from Pisa in 1589 with a doctorate in law. He was twenty-one years of age. With the help of an uncle he began a successful career in the Curia. 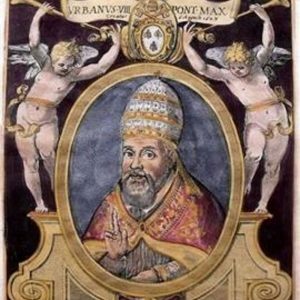 Clement VIII appointed him to several important positions including governor of Fano, envoy to Henry IV of France and later, nuncio there, and Archbishop to Nazareth (an honorary position since the Turks had control of the Holy Land). 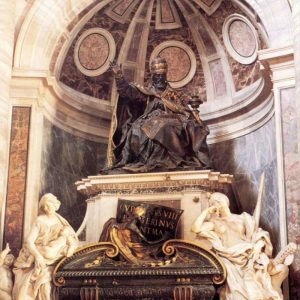 Paul V made him a cardinal-priest, protector of Scotland and legate to Bologna. These and other appointments spanned a period of twenty-five years. The conclave of fifty-five cardinals that elected him was long and difficult. 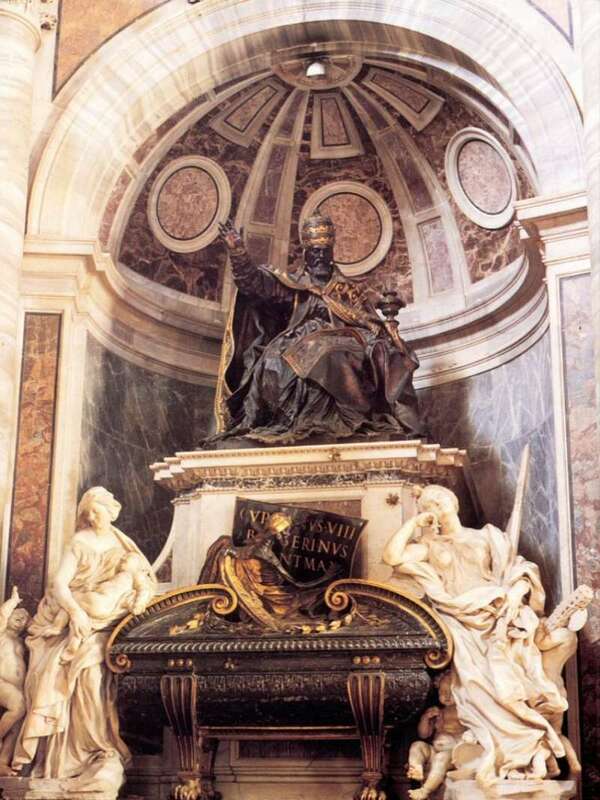 During the sweltering heat of July and August in 1623, Barberini became the successor to Gregory XV. So contentious was the conclave that once elected, Urban VIII as he chose to be called, distanced himself from the College of Cardinals and came to rely on himself and on members of his own family for advice. Urban was fifty-five years of age at the time of his election and would rule as pontiff for close to twenty-one years. His style of governance was authoritarian and while he rarely discussed business with his cardinals, it is from Urban that the rank of Princes of the Church was created and, in 1630, the title of Your Eminence originated. He was known for his incisive diplomacy and literary acumen. Urban owned a fine library and composed verse. He was also fluent in Greek and Hebrew. On the negative side nepotism played a large role in his papacy. Many members of his family became wealthy. 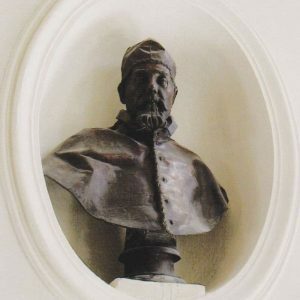 Urban was stricken in old age with the immorality of his actions and consulted learned theologians about his use of papal monies, including whether or not his nephews should keep the money. He himself spent enormous sums beautifying Rome and building fortifications there. Bernini was commissioned to complete the new St. Peter’s, adding the baldacchino (see glossary for an explanation of this incredible architectural marvel) above the high altar—which was constructed with bronze pillaged from the portico of the Pantheon. Bernini was also commissioned to build the Palazzo Barberini and other prominent buildings and monuments in the city of Rome. Urban’s family was the largest patron of the arts at that time and many architectural and artistic masterpieces were constructed or created during his pontificate. The Thirty Years’ War coincided with Urban’s pontificate between 1618 and 1648. Brandon Toropov states that it was first and foremost a succession of conflicts pitting the Holy Roman Empire (embodied in the Hapsburg Empire)—in alliance with the Catholic German forces—against the Protestant monarchs of Germany. He further states that, The territorial, political and religious issues often merged into a literally bloody mess. The war went through several phases with Pope Urban attempting to remain neutral while fighting to maintain the independence of the Papal States. Finally, religious hatred ebbed, the influence of the Hapsburgs declined, and the French became the new power in Europe. Amidst the political turmoil of his pontificate, Urban VIII was also responsible for significant ecclesiastical work. In 1631 he revised the breviary, personally re-writing hymns and several offices for specific saints. Even though other work carried out on the breviary done in committee was not only inaccurate but also incomplete, Urban approved the work. The following year it was published as the official Roman Breviary. 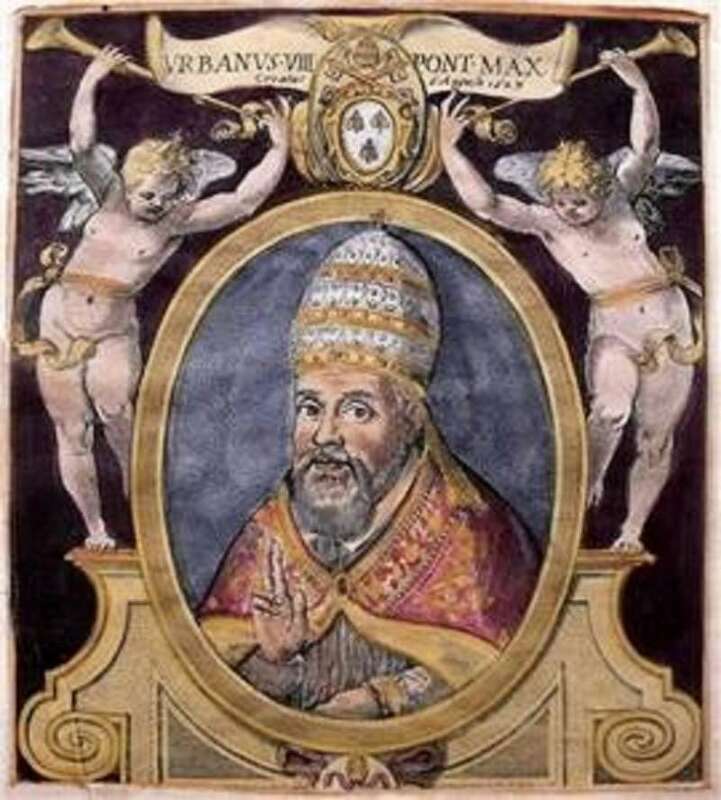 Urban issued many papal bulls, insisted that bishops and cardinals reside in their dioceses as decreed by the Council of Trent and patronized foreign missions both in word and in money. He founded a college for the training of foreign missionaries. Most notably, in 1639, he was the first pope to prohibit slavery of any kind in Paraguay, Brazil and the West Indies. He was a zealous promoter of religious orders. During Urban’s pontificate Galileo, who had been a personal friend, was forced to recant his belief in the Copernican Theory (that the earth revolves around the sun) —or undergo the tortures of the Inquisition. It is nearly impossible from this vantage point to sympathize with the Church that allowed this to happen. 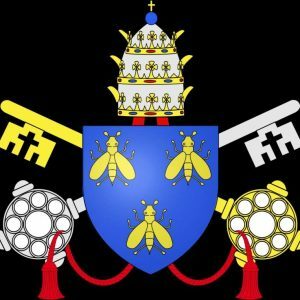 Certainly it was more about papal authority than it was about looking at scientific evidence. Galileo’s information was unfamiliar and in stark contrast to presumptions about the natural world and as such was considered heretical. Urban eventually freed Galileo after he recanted, but not before he had become a secular saint, and the harbinger of future conflicts between the papacy and science.